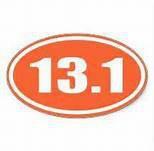 A 14 week Half Marathon Training will start at 7am on Saturday July 19th at 55th and Brookside! Jennifer Ristau, an RRCA certified coach will lead this group to glory and ensure you can go the distance at any of the spring half marathons. All runs will start at 55th and Brookside Blvd. Cost is $25 plus KCTC membership if you are not already a member.